»» Download BootIt Collection for free! BootIt Collection ::: a computer program that allows users to manage the computer boot. Using BootIt Collection you can create, delete or modify the boot options. »» Download myLauncher for free! myLauncher ::: a computer program that allows users to organize and manage applications. Using myLauncher have faster access from one place, to all your applications. »» Download MyViewpad for free! MyViewpad ::: a computer program that allows users to manage digital photos. »» Download HDD Wipe Tool for free! HDD Wipe Tool ::: a computer program that allows users to permanently delete data from the hard disk. Using HDD Wipe Tool can completely remove any information from any storage device. »» Download PhotoMix for free! PhotoMix ::: a computer program that allows users to create photo collages. »» Download Atlantis Word Processor for free! Atlantis Word Processor ::: a computer program used to process text. »» Download DocuFreezer for free! DocuFreezer ::: a computer program that allows users to convert between different document formats. Use DocuFreezer convert documents is a much simpler and faster work. »» Download AlterCam for free! AlterCam ::: a computer program that allows users to apply different effects when using the webcam. 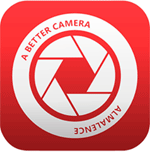 »» Download PHOTORECOVERY for free! PHOTORECOVERY ::: a computer program that allows users to recover lost data. 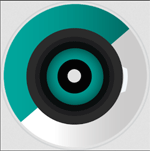 »» Download FILERECOVERY for free! FILERECOVERY ::: a tool used to recover deleted or lost files. Using FILERECOVERY you can recover deleted files, lost files, files deleted by mistake, etc.